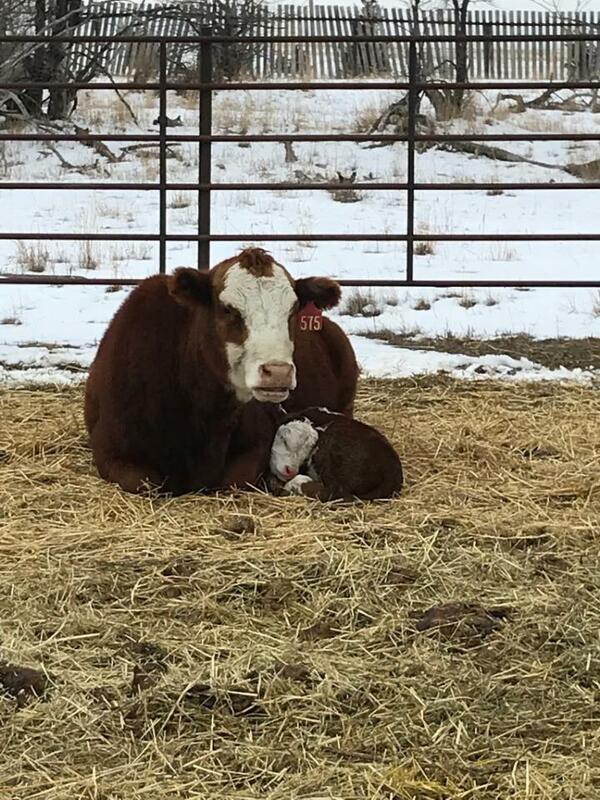 It’s springtime in Wyoming and calving season is in full swing. Spring in Wyoming can mean 70 degrees one day and a blizzard the next. We experienced this a couple of weeks ago. The weather forecast called for 18-20 inches of snow and 50-60 mph winds. The day before the storm was a beautiful spring day. It was almost 70 degrees with no wind and it was hard to believe the forecast. The nice days ahead of the storm, gave us time to prepare and make sure the cattle were safe and taken care of. The cattle were moved to where they could be fed easily and have good protection from the storm. The blizzard started almost on cue and was exactly as predicted. It just didn’t last quite as long as we had thought it might and that was a good thing. Jason and Kim worked day and night to help heifers that were calving. 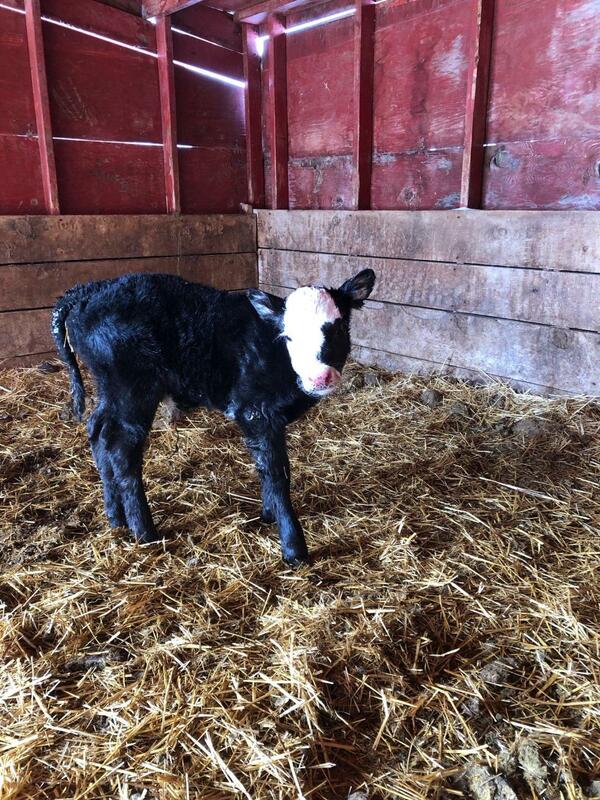 Lots of babies were born during the storm and they saved them all. Thank goodness spring storms don’t last long. The weather cleared, the days are longer and a little warmer. The baby calves are loving the sunshine and running and playing. We feel so blessed that we were able to get through the blizzard the way we did. Our neighbors to the east in Nebraska have suffered devastating losses. Our thoughts and prayers go out to all of them. Today is Wednesday and temperatures are in the mid 70’s but we’re expecting snow and winter conditions on Friday. Springtime in Wyoming!